Cassville Intermediate counseling staff and teachers team up to present a different character trait every month. Classroom teachers then nominate students for awards in recognition of exemplifying that trait. 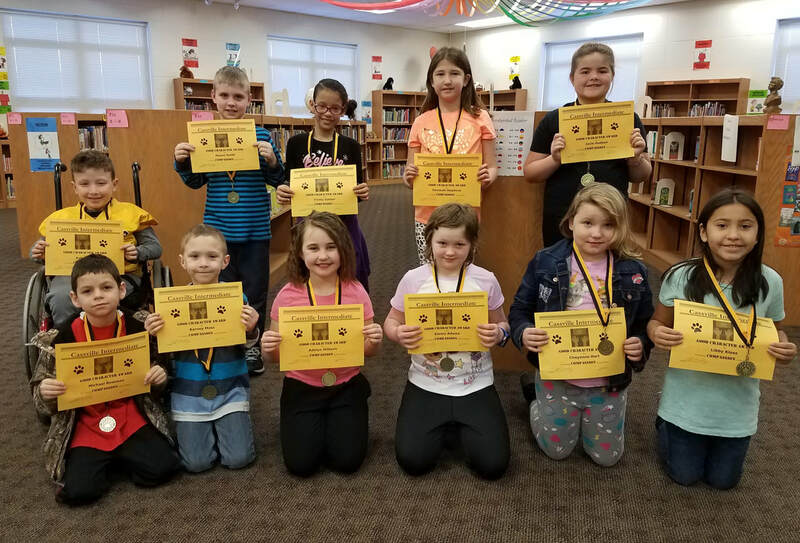 Students were selected during the month of February for compassion. Third grade award winners are pictured above, from left to right. In the front row: Michael Bowman, Barney Moss, Adilynn Hilburn, Emma Adams, Cheyenne Hart and Libby Kloss. Back row: Kyle Berry, Mason Smith, Trinity Gatson, Samarah Stephens and Jacie Hudson. Not pictured: Averi Flippo. Cassville Intermediate counseling staff and teachers team up to present a different character trait every month. Classroom teachers then nominate students for awards in recognition of exemplifying that trait. 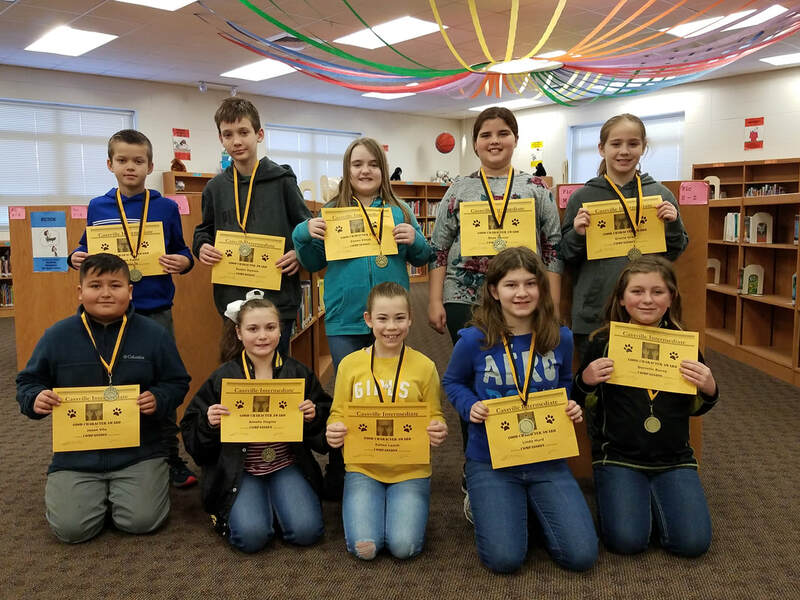 Students were selected during the month of February for compassion. Fourth grade award winners are pictured above, from left to right. In the front row: Kole Fry, Stephanie Hernandez, Amber Davis, Annabelle Holliday, Analeigh Winchell, Kamille McElheney Absent: Brextin Sprague and Savannah Conner. Back row: Hayden Roberts, David Rehbach, Trenton Pyle and Kendal Allison. Cassville Intermediate counseling staff and teachers team up to present a different character trait every month. Classroom teachers then nominate students for awards in recognition of exemplifying that trait. 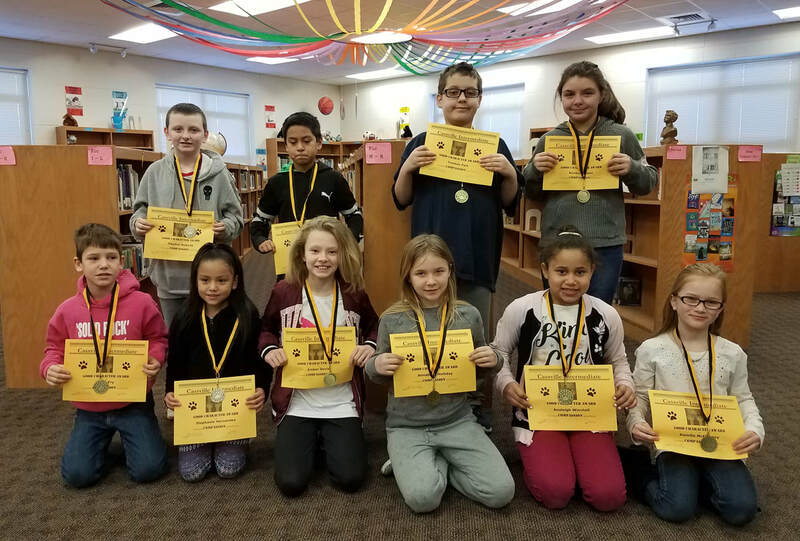 Students were selected during the month of February for compassion. Fifth grade award winners are pictured above, from left to right. In the front row: Jason Vila, Amelia Hagins, Kailee Lauck, Linda Hurd and Donielle Burns. Back row: Ayden Bates, Rystin Daniels, Emma Elliott, Shae Turner and Gracie Gray. Not pictured: Ayden Cuyler and Gage Barnes.